With topics ranging from water sanitation to aging genes, a variety of expert scientists will present insights this fall in five Suter Science Seminars at Eastern Mennonite University. The seminars are free and open to the public, and made possible by the sponsorship of the Daniel B. Suter Endowment in Biology and the co-sponsorship of supporting programs. All seminars are held in room 106 of the Suter Science Center. Wednesday, Sept. 12: STEM Student Summer Research Symposium, STEM students, Eastern Mennonite University. 4 p.m. Read more about research in Hawaii and other faculty/student projects. Wednesday, Sept. 26: Water and Sanitation Impacts and Challenges in Appalachia, Leigh-Anne Krometis, PhD, associate professor in biological systems engineering, Virginia Tech. 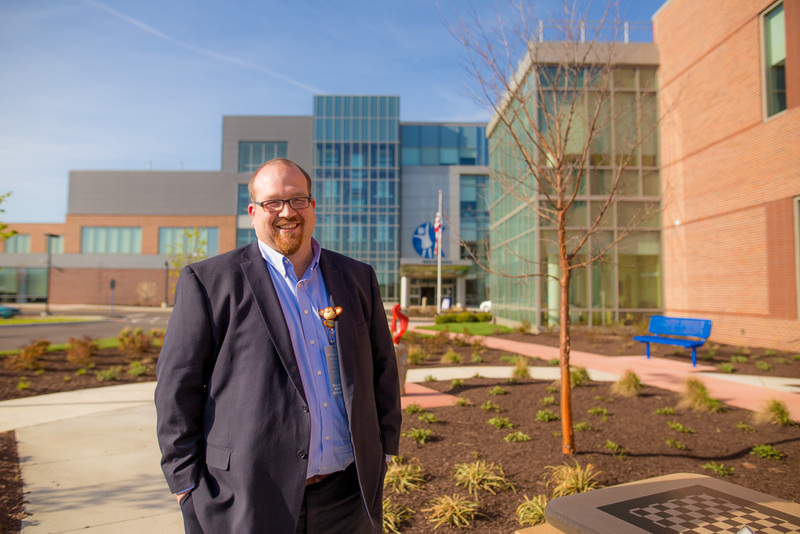 4 p.m.
Saturday, Oct. 13: Targeted Therapies in Pediatric Neuro-Oncology: Lessons from the Past, Hope for the Future, Trent Hummel ’97, MD, associate professor of pediatrics, Cincinnati Children’s Hospital Medical Center. 9 a.m.
Wednesday, Oct. 24: From Undergraduate Education to Meaningful Employment: How a Former EMU Psych Major Found Her Calling in the World of Academic Hospital Research, Jill Stoltzfus, PhD, network director, Research Institute, St. Luke’s University Health Network. 4 p.m.
Wednesday, Nov. 28: Aging Genes and Electrochemistry in the Drosophila Brain, Jeffrey Copeland, PhD, associate professor of biology, Eastern Mennonite University. 4 p.m.
Named in honor of long-time EMU biology professor Daniel B. Suter (1920-2006), the endowment was established in 1986 through the generous donations of alumni and friends and currently consists of over $1 million of invested funds. EMU hopes to double the Suter Endowment in order to more adequately support distinguished faculty and to increase scholarship aid to deserving students. For more information, click here.